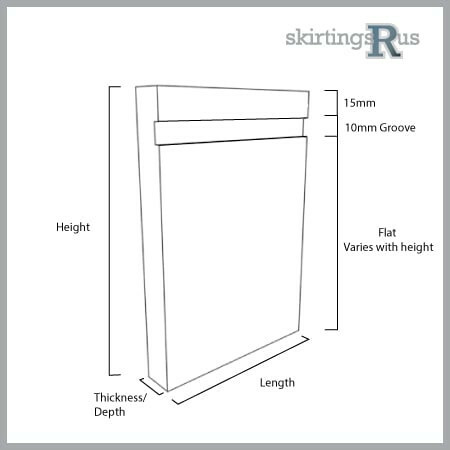 This skirting features a larger 10mm groove running through its square body. The increased dimension of the groove draws greater attention to its detailing, and allows this board to assert itself as a more modern room feature. 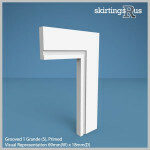 Our Grooved Grande 1 (S) skirting board is made of a high density, moisture resistant (MR) MDF. Grooved Grande 1 (S) skirting boards can have a space machined out of the back of the board, allowing cables to be run and hidden behind it. 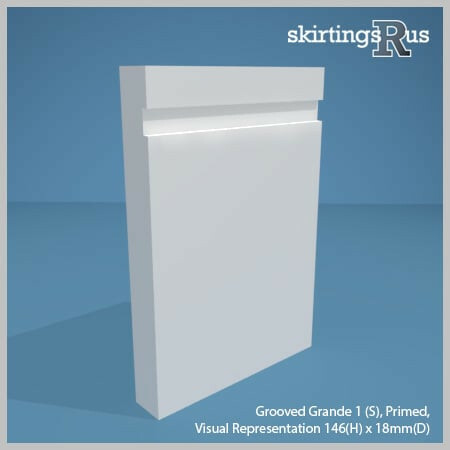 Our Grooved Grande 1 (S) MDF skirting board is produced in house in our midlands based factory and is machined to order from the specification options above. If you can’t see what you’re looking for, then you should know we can cut to any size and undertake bespoke requests. For more information visit our bespoke page or feel free to give us a call!